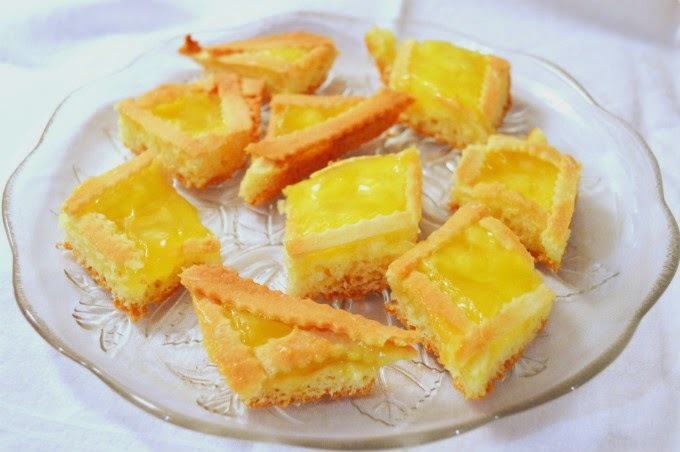 As the sunny weather approaches and temperatures warm up, one of my favourite treats comes to mind...Lemon Crostata! 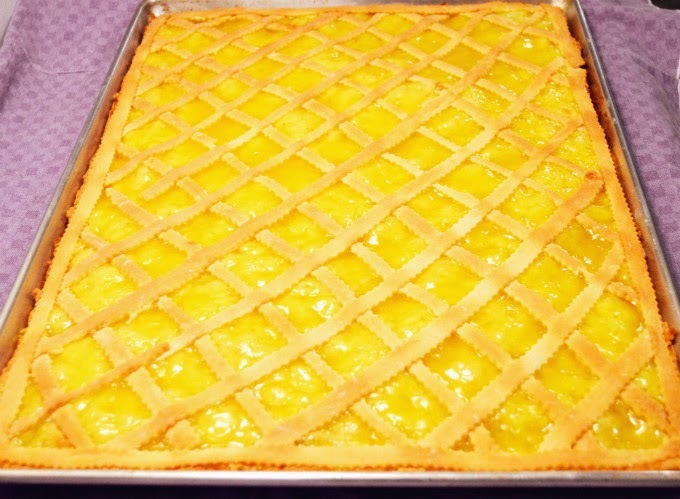 "Crostata" is the Italian term for "tart" or "pie," and can be made with any fruit flavouring of your choice. As you will see below, this recipe is fairly easy to make and requires little ingredients. Best of all, it makes for a delicious, light treat ... just in time for spring! Combine the eggs and sugar, and mix on high speed until smooth; then add the melted butter and the pinch of salt to the mixture; let sit. In a separate bowl, combine the flour and Bertolini packet. Mix together the wet ingredients on high speed, while folding in the flour mixture. 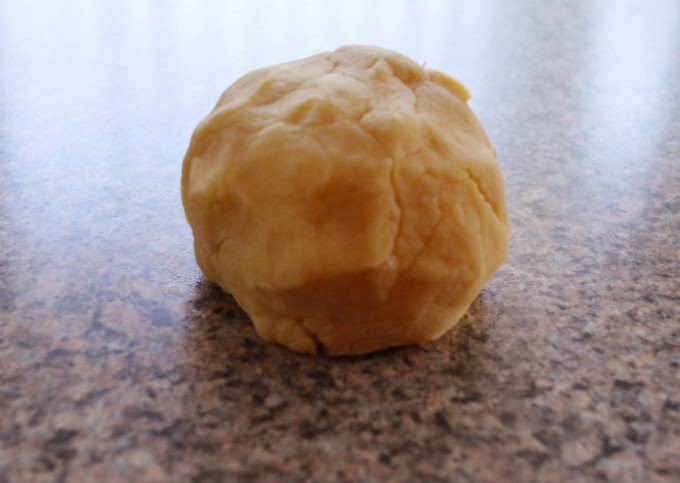 Once you see that the combined ingredients have begun to take on a dough like texture, begin to knead the dough with your hands. 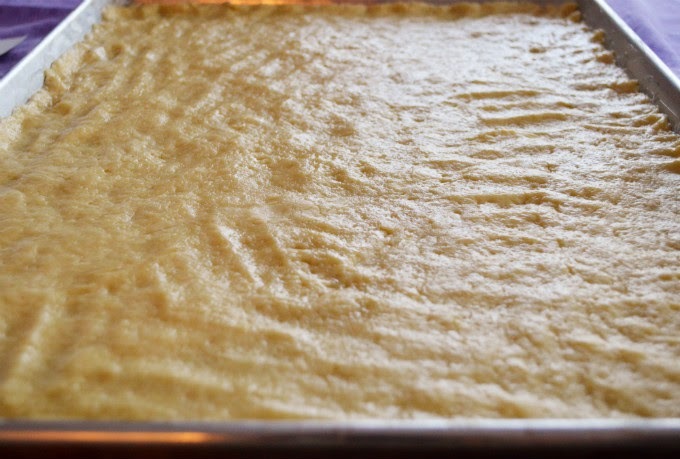 Grease a cookie sheet (approximatley 8 x 15 inches in size) and spread the dough evenly onto the sheet. Be sure to leave a small section of dough aside (this will be used to decorate the top layer later)! 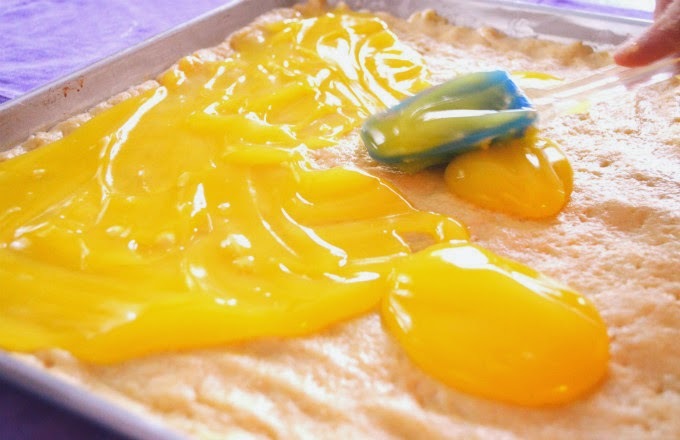 Distribute the lemon spread evenly over the dough on the cookie sheet. Once that is done, take the small section of dough you had placed aside, and add a pinch of flour to it. 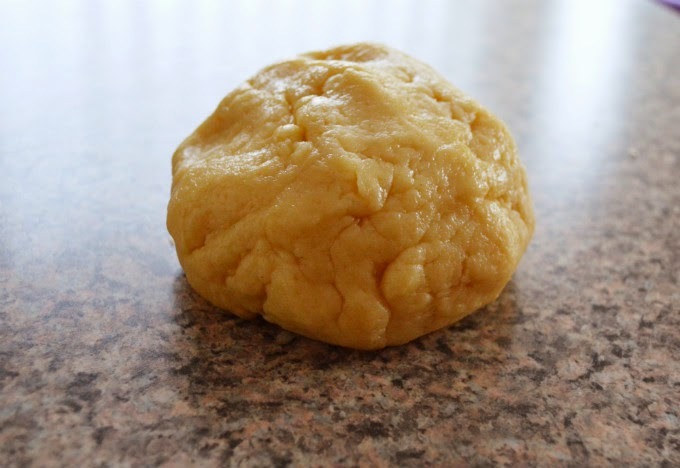 Notice that the dough becomes less wet in texture and more firm. Split the dough into sections and using a rolling pin, flatten each section. 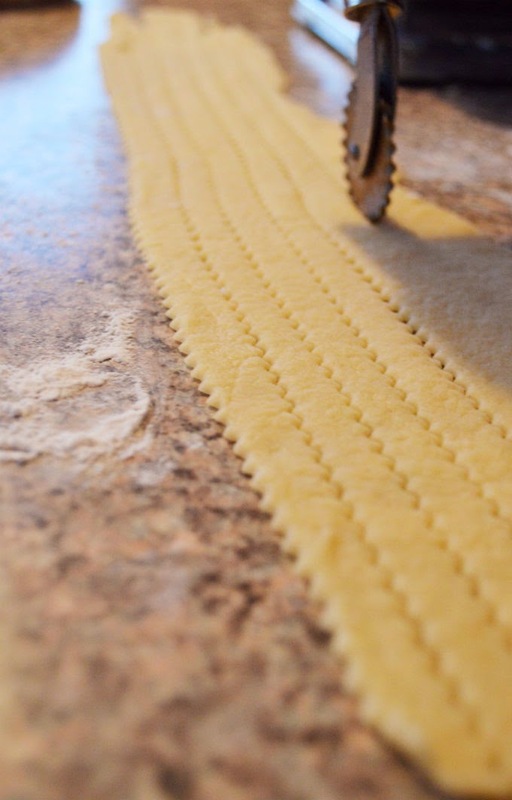 With a fluted pastry wheel, cut the flattened dough into strips. 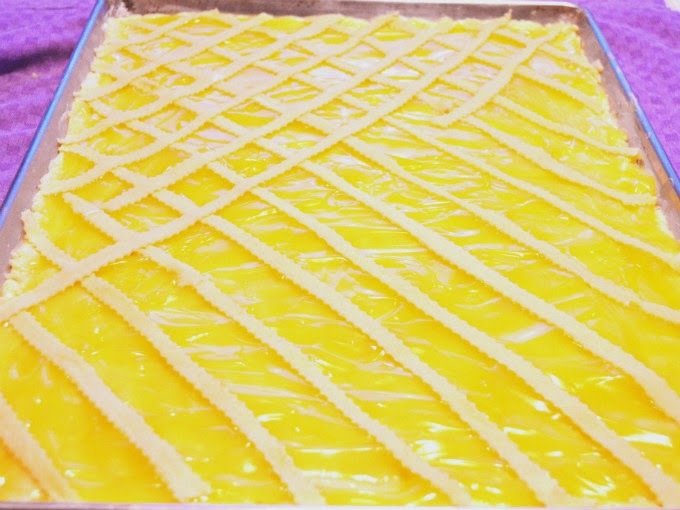 Arrange the strips of dough over the lemon filling in a criss-cross pattern. Once you have covered the whole sheet, arrange some of the strips as a trim around the border of the cookie sheet. Place in the oven on middle rack at 350 degrees. Bake for 30 minutes or until lightly golden brown.